SNARK ANGEL: Tonight on tap at the New York Comedy Festival, you’ve got laughs from relative old-guarders Rosie O’Donnell (at the Town Hall) and Margaret Cho with her show Cho Dependent (at the Beacon). 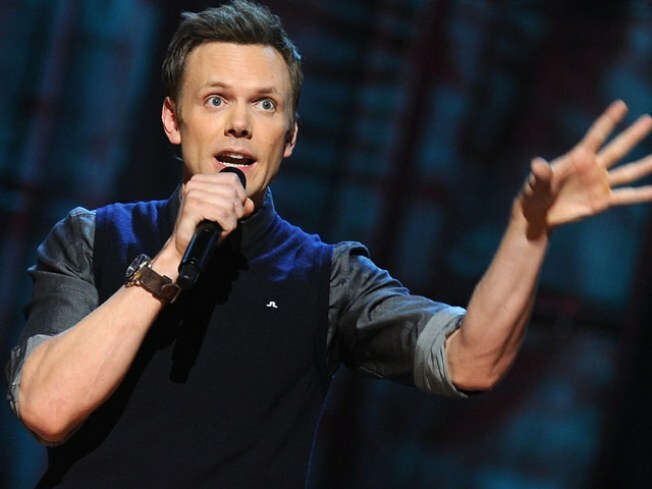 But our heart and funnybone go pitter-patter for Joel McHale, of Community and The Soup. He’ll pull no punches at Carnegie Hall at 7PM. CRUSH-WORTHY: After the artisanal moonshine tasting we told you about a couple weeks ago, be not surprised that the Candemonium Canned Beer Festival is the next logical step in so-trashy-it’s-hip imbibery. Head to the Full Circle Bar in (where else?) Williamsburg to swirl and sip the crème de la crème of canned suds—more than 50 labels in all. And it goes on all weekend long. 2PM-4AM. MOTLEY CREW: Color us intrigued: a discussion/book-signing by Portia De Rossi (of Arrested Development and Mrs. Degeneres fame) of her new memoir Unbearable Lightness, wherein she tackles her history of anorexia, is moderated by Jonathan Safran “Eating Animals” Foer. Could it be Foer has seen that “hot ham water” Arrested Development episode as many times as we have, and fallen equally under its spell? Hmm. Barnes & Noble Lincoln Triangle. 7:30PM.